﻿To put it simply - we love Mabou! 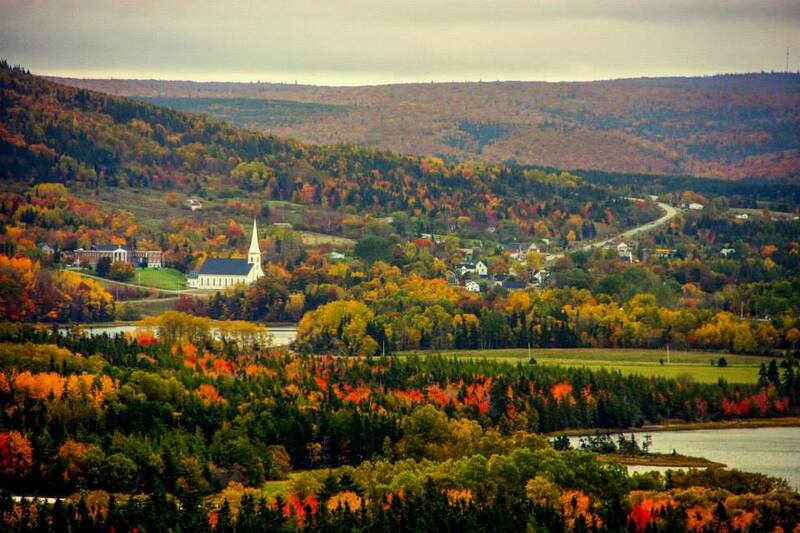 Mabou's scenic beauty, authentic charm, living culture but most importantly its' splendid people! We are very humbled when we recall quality of the people that surround us, a network of folks who give of their time generously. Mabou was and is chalk full of welcoming, proud, happy, humorous, giving, caring – "salt of the earth people". We are rooted here. No matter where people from Mabou go in the world, those roots do not wither. In Mabou, we are fortunate to have a strong and committed volunteer base. Our volunteers add to every facet of our community. Through the work of volunteers we have grown stronger, happier and healthier. Our community members are all volunteers; each and every one of them give! We give to each other by offering an ear to listen, words of encouragement, arms of support to lift up those in need, our time, our resources and our talents. The value of community is passed down through the generations. We produce leaders who make a difference in our community, our province and our country. Mabou is a community that cares for everyone who lives here regardless of circumstance – we are all community members first and foremost. Because of this generosity we felt this extraordinary community of Mabou was worthy of recognition and so the Mabou & District Community Development Association partnered with The Mabou Gaelic & Historical Society, The Mabou Farmer's Market, Mabou Communications, Dance Debut, MLA Allan Mac Master & K.C. Beaton to put together a nomination for one of Nova Scotia's 2015 Lieutenant Governor's Community Spirit Awards. WE ARE A WINNING COMMUNITY, how lucky are we to call Mabou home! The community deserves the celebration and acknowledgement. We were very fortunate to be selected along with the communities of River John, Spryfield and Washabuck to receive this honor. On August 16, 2015 the Lieutenant Governor and Mrs. Grant traveled to Mabou to present the Community Spirit Award to the community. The following presentation is the full winning application. 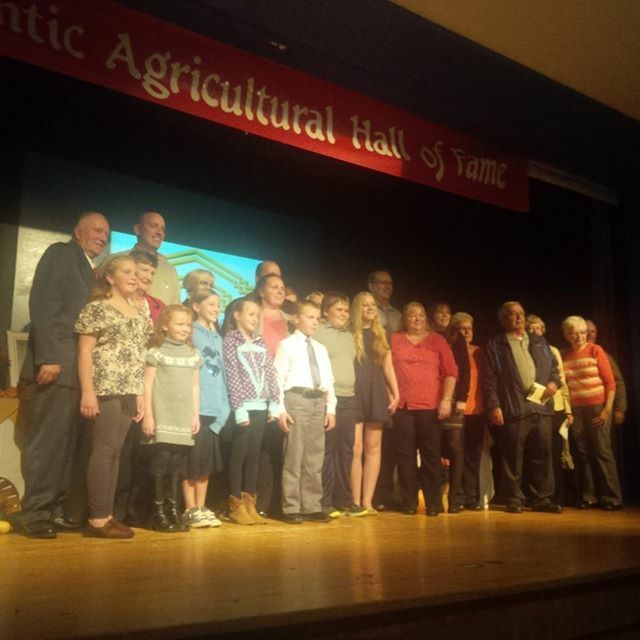 Leo Cox is inducted into the Atlantic Agricultural Hall of Fame! MABOU — For David Greenwell, it was a coming home of sorts. He was born in Baddeck but that’s where his connection with Cape Breton stops. After spending most of his life in Ontario and Western Canada, Greenwell and his family left Cochrane, Alta., for Mabou four years ago. He didn’t have any family connections on the island. Instead, it was the Celtic music calling him home. “We truly love this place,” he said during a recent interview at the Mull Café and Deli in Mabou. “Myself and my family started coming back here in the late 90s for the music and the culture. We initially came here to explore Nova Scotia but it narrowed down to this area very quickly. Working as an architectural technologist his connections and the companies he had a relationship with were mainly in Alberta’s oilpatch and the west coast of North America. He has acted as a consultant on projects from minor residential renovations (specializing in kitchen design) to multimillion-dollar high-rise residential developments. But that fact wasn’t going to deter him and wife Michelle from embracing a more relaxed way of living. Once he found out Mabou had high-speed Internet, the family began to plan their move to Cape Breton. He operates his company M3D DesignWorks from an office in his home. It took about a year in Inverness County to get re-established, Greenwell said. He said his wife, who owned a dance studio in Alberta, now works with the municipality’s recreation department teaching dance. Greenwell, 47, said he was glad to finally escape the rat race the greater Calgary area had become. A short 10-minute drive south is the community of Port Hood. 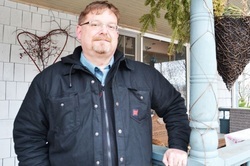 Lloyd MacDonald is the manager of the Al MacInnis Sports Centre and the adjacent Sunset Sands RV Park. After he spent his entire career working in the IT field in other regions of the country, namely Ontario, he left in 1974 and returned to his hometown following his retirement two years ago. MacDonald has been active in the community ever since. “I spent the last two years of my career in Halifax, sort of a transition back to the east coast. We built a home here as our retirement home, not knowing of course I was going to end up doing this job,” he said. Upon his return, he took on the role of the president for the Port Hood and District Recreation Commission. When the manager of the Al MacInnis Sports Centre left suddenly, MacDonald stepped up to the plate. The rink is home to the Cape Breton West Islanders of the Nova Scotia EastLink Major Midget Hockey League. It has seen busier days, MacDonald said, but it’s his job to bring in as much business as possible. It’s part of the reason why he’s attending the Inverness County Expo in Halifax on Saturday. “What I enjoy about this job is the fact you can make a difference in the community in trying to build a business in the RV (park) and have the arena survive in tough times,” MacDonald said. Back at the small diner on Mabou’s main street, Greenwell explains that his career transition from urban to rural setting wouldn’t work for everyone. Mabou Natives Win Big at the East Coast Music Awards! Pictured above are Stephen Smith and Bruce Gillis. Stephen Smith won Live Sound Engineer of the Year! Bruce Gillis a member of the duo The Town Heroes wins Rising Star Recording of the Year - Sunday Movies! Way to go guys! *Please note that this site is the beginnings to what we hope will become an inclusive site of all Mabou has to offer, to add/correct/remove any information please contact site management on the contact us page.